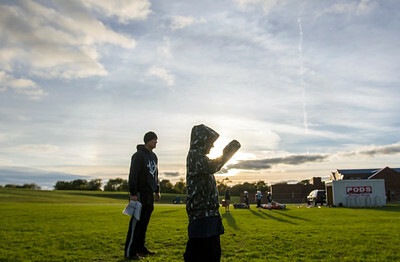 Brock Iverson, 8, of Cary watches from the sidelines during the Cary Junior Trojans football practice at Deer Path Elementary in Cary Wednesday, September 29, 2015. 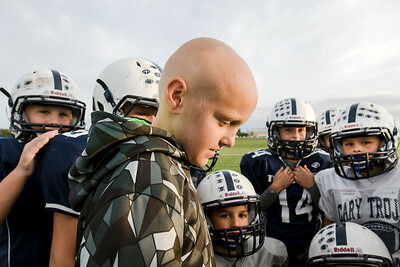 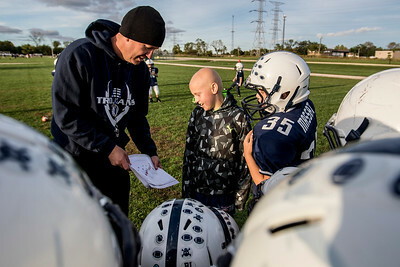 Iverson is fighting cancer and is not well enough to play football but still attends practices on the sidelines and helps out the couches. 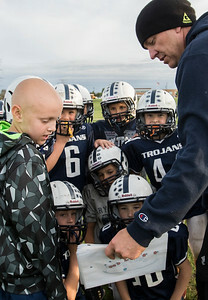 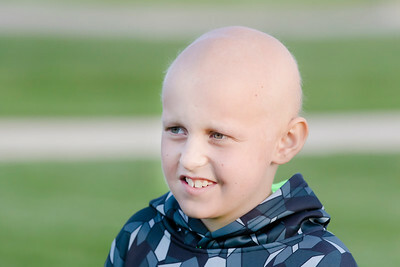 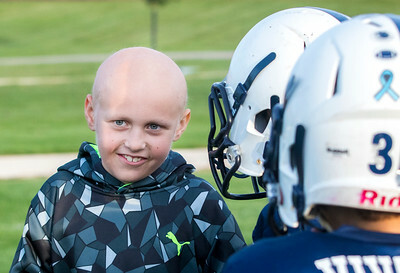 The Cary Junior Trojans have rallied around him with their "Brock Strong" campaign which has raised over $10,000 and will continue raising money through his 3-year chemotherapy treatment.